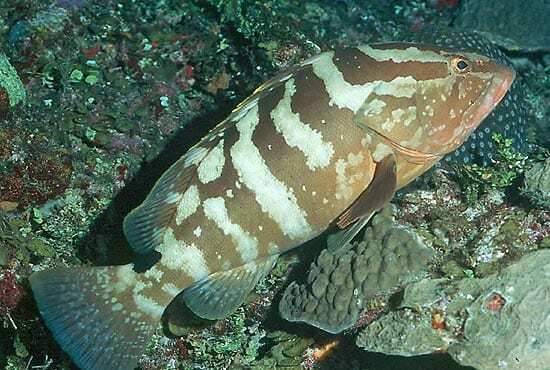 For decades, the Nassau grouper (Epinephelus striatus) was one of the most sought-after fish species in the Caribbean and Gulf of Mexico, from the Bahamas to Central America. These large, delicious fish live among coral reefs and have a breeding behavior that makes them especially vulnerable. They come together in aggregations of thousands to spawn at specific times and places, making them easy to catch—and to overfish. 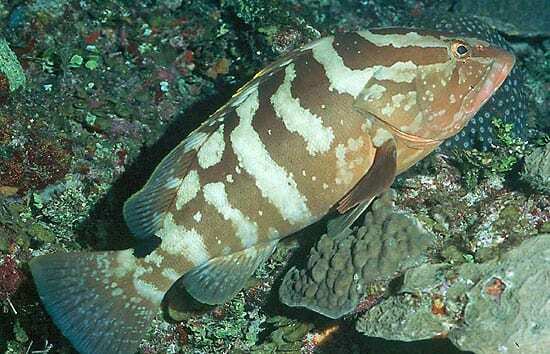 Nassau grouper populations have been severely depleted by humans throughout most of their range. The environmental and economic ramifications are alarming, and regional governments are responding by restricting or prohibiting fishing for them. But several large spawning aggregations of this species still exist in the western part of its range near Belize, in the Meso-America Barrier Reef System. These aggregations may provide our last opportunity to learn if and how fish populations are connected among isolated reef sites. This information will be critical if we are to save the Nassau grouper populations from local extinction, as has already occurred on some Caribbean islands. Marine ecosystems in all the world’s oceans are under considerable and increasing stress from human activities, precipitating urgent calls for new ways to counter the impacts of people. Resource managers are increasingly using Marine Protected Areas (MPAs)—areas completely closed to fishing—as a means to maintain fisheries and biodiversity. But scientists, fishermen, environmentalists, and governments continue to debate the effectiveness of MPAs. (See “Do Marine Protected Areas Work?” and “Can We Catch More Fish and Still Preserve the Stock?”) Monitoring mobile animals under water over long distances and times is difficult, if not impossible, so scientists use mathematical models of population growth to predict the effectiveness of fishing closures. Yet we don’t know enough about one important component of such a model—how fish move in and out of MPAs. To predict how well MPAs work, we will need models that accurately describe the movement of individuals between geographically separated sites—what is termed population connectivity. A critical part of estimating connectivity among geographically separated groups of fish is tracking the dispersal of larval fish. Until recently, there has been no way to tell if adult fish living in one reef habitat were spawned in a different location. We did not have the means to determine where fish were spawned, because most fish larvae are too small to be tagged by conventional means. But now, scientists at Woods Hole Oceanographic Institution have achieved a breakthrough that is poised to revolutionize the study of larval dispersal in marine fish. We have demonstrated that it is possible to introduce a unique chemical tag into the ear bones (otoliths) of fish embryos by injecting the female before she spawns with a nontoxic isotope. The isotope is a variant of the elements barium or strontium, which would normally be incorporated in small amounts (along with calcium) into the fish’s ear bone as it grows. But the isotope has a slightly different mass than the common form of the element. The otolith grows as the fish grows, with layers that are laid down like tree rings during the fish’s life. All the material in the otolith remains where it was originally deposited; it is not continually turned over, as happens in other bones. An isotope with different mass “built into” the ear bone at the start of life will always be there, in minute amounts, at the center, or earliest, part of the otolith. This tag remains in the otolith throughout the fish’s life, wherever it travels. When the fish is caught, we can remove the otolith, and use a mass spectrometer equipped with a laser system to detect the tag. (See “The Secret Lives of Fish.”) A narrow laser beam from the instrument ablates, or vaporizes, selected parts of the otolith (in this case, the first-formed area, or core), and the isotopic composition of the vaporized material is then automatically analyzed to reveal whether the isotopic tag is present. Fish can be identified as the offspring of a tagged parent if the otolith core contains significantly more of the rare isotope injected into the parent, as compared with control samples with natural isotopic compositions. Beginning in 2005, we will employ this new technique on large, long-lived species that aggregate to spawn at specific times and places and produce planktonic eggs, particularly the Nassau grouper, in coral reefs off Belize. It will give us the ability to learn for the first time whether Nassau groupers—tagged at spawning—disperse to other parts of their range during their larval lives. We will also be able to determine the extent to which fish hatched in an MPA return to their natal location, are dispersed from the MPA to areas open to fishing, or are recruited to other protected habitats. Applying this innovative technology, the WHOI Ocean Life Institute is launching the Reef Fish Connectivity and Conservation Initiative. The project is funded in large part by the Oak Foundation, a private philanthropy whose priorities include conservation of the marine environment, and by the Ocean Life Institute. The initiative will partner WHOI with a multinational large-scale study of coral reef fish and ecosystems called the Targeted Coral Reef Research Project, funded by the Global Environmental Facility and implemented by the World Bank. GEF is an independent organization that receives contributions from donor countries and provides funding for projects benefiting and promoting sustainable ecosystems in developing countries (http://www.gefcoral.org). The World Bank aids the GEF in implementing projects in theme areas of critical global interest, including biodiversity. Depletion of fish stocks in the tropical coastal regions and coral reefs of the world is a large and growing problem. In many places in the Caribbean, the loss of 80 to 90 percent of grouper populations to overfishing has meant significant losses to fishermen and local economies and severe degradation to ecosystems. Scientists, conservation groups, private foundations, and governments, along with financial and economic organizations such as the World Bank are concerned—and beginning to work together. With such support, new scientific approaches such as otolith tagging may provide information that resource managers and policy makers can use to design and implement Marine Protected Areas that will protect marine populations vulnerable to human exploitation, including the Nassau grouper.